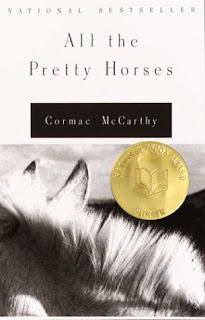 "This year I finally read Cormac McCarthy’s All the Pretty Horses. I originally got into it by listening to the Brad Pitt narrated audio version, and I soon found myself in the book itself. It’s a great book for feeling like you’re truly there, and when McCarthy says something like ‘He could see so clearly that all his life had led only to this moment, and that all after it led nowhere at all’, you’re hit with beauty and devastation simultaneously, and what more can you ask for from a writer?"